Dr. Sherylle Calder is a well-renowned performance and vision skills coach from South Africa, who has worked with the likes of Kevin Anderson, Ernie Els and the Miami Dolphins, to name a few. 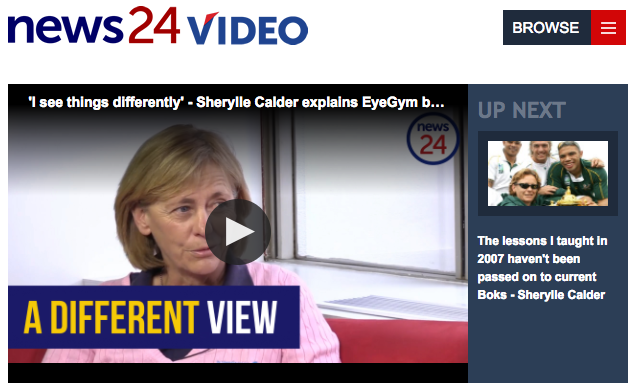 Sherylle also worked with the Springboks before and during their victorious Rugby World Cup campaign in 2007. Watch as Sherylle explains the principles behind EyeGym.